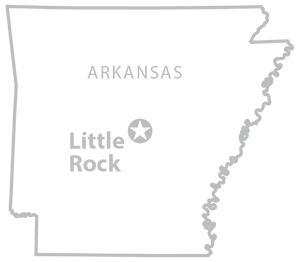 The University of Arkansas at Little Rock Interpreter Education program invites the community to experience hit songs of the decades through the beauty of sign language. 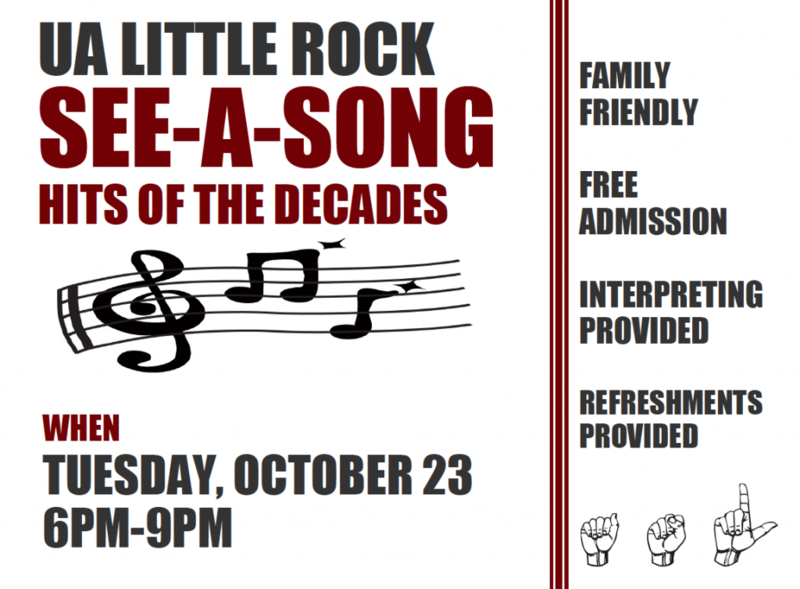 The Interpreter Education program and UA Little Rock’s Sign Language Klub will host “See-a-Song” from 6-9 p.m. Tuesday, Oct. 23, in the Stella Boyle Smith Concert Hall in the Fine Arts Building on the UA Little Rock campus. Members of the Artistic Interpreting Class will transform some of the most popular songs throughout the decades into American Sign Language. UA Little Rock employees and students have put on the annual family friendly event since the early 1980s, where audience members with a talent for sign language are invited to perform on stage with the Artistic Interpreting Class. The event is free and open to the public. Refreshments will be provided. For more information and for those who are interested in performing during “See-A-Song,” contact Jami Hollingsworth at jjhollingswo@ualr.edu or 501-569-3169.